The Bundesliga action continued at a thrilling pace on Matchday 19, but which were the biggest stories to emerge from the weekend? To recognise Ousmane Dembele’s talent, it would’ve been enough to watch his assist for Pierre-Emerick Aubameyang in Borussia Dortmund’s 1-0 win against RB Leipzig. Controlling a high ball deftly near the halfway line, Dembele spun at pace, danced towards the byline and crossed perfectly for Aubameyang to head home. Hailed as an outstanding talent upon his arrival at BVB last summer from Stade Rennais FC, the Frenchman has already made the jump from talent to world-class, as his performances this season have underlined. 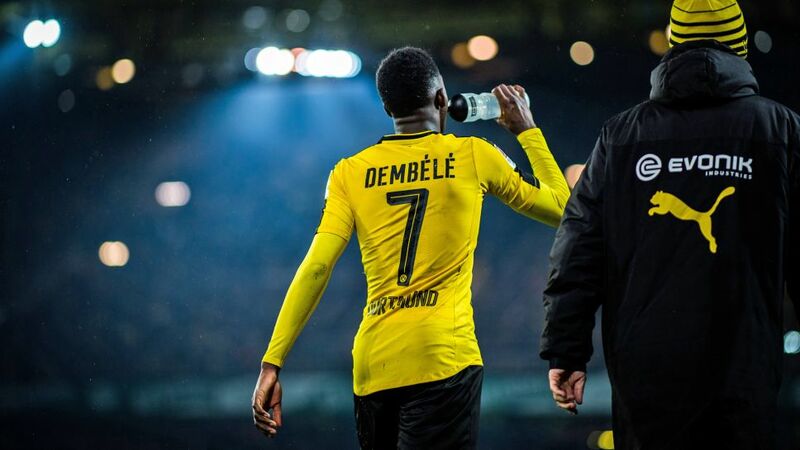 Four goals and eight assists in 18 Bundesliga games have added substance to Dembele’s significant style and, Aubameyang aside, the 19-year-old has been Borussia’s best attacker this season. When the Lionel Messi/Cristiano Ronaldo duopoly comes to an end, Dembele will be a leading candidate for the world’s best player. “Beware the loanee,” might not be a common football saying, but it will certainly be one Bayer 04 Leverkusen bear in mind when planning their next transfers. On loan at Hamburger SV from Die Werkself, centre-back Kyriakos Papadopoulos dealt his parent club’s hopes of climbing the table towards the European spots a major blow when he headed the only goal for HSV in a 1-0 win against Bayer on Friday night. Papadopoulos had left Leverkusen on loan last summer hunting more first-team opportunities, and when they did not materialise at RB Leipzig, he moved to the Port City in January. More such performances from the Greek may well help HSV avoid the drop, while the only silver lining for Leverkusen is that they have a ready-made replacement for the Borussia Dortmund-bound Ömer Toprak this summer. Click here to vote for your #BLMVP from Matchday 19! Dieter Hecking’s reign at Borussia Mönchengladbach began inauspiciously when the 52-year-old watched his Foals play out a 0-0 draw at SV Darmstadt 98 on Matchday 17. The transformation in the two games since has been extraordinary: back-to-back wins have lifted Hecking’s new charges to 11th. It has been the stylish, attacking manner of the victories that has been most eye-catching. Gladbach came from 2-0 down at half-time to beat Bayer 04 Leverkusen 3-2 on Matchday 18, before three late goals secured a 3-0 triumph against SC Freiburg this weekend. Hecking will suddenly be feeling bullish ahead of the UEFA Europa League ties against AS Fiorentina later this month. Click here to 'like' the Bundesliga on Facebook! One of the Bundesliga’s most storied clubs, SV Werder Bremen scored their 3,000th goal in the Bundesliga during the 3-2 defeat at FC Augsburg on Matchday 19. Aptly, it was a hometown boy, Max Kruse, who netted the penalty (his eighth in eight attempts in the Bundesliga) that brought up the milestone. The Green-Whites sit second in the all-time top-scoring charts; FC Bayern München lead the way with 3,807 goals, while Dortmund sit third with 2,954. Intriguingly, Bremen have technically only scored 2,999 goals: on 3 April 1971, Werder drew 1-1 with Gladbach, but a broken post meant that Bremen were awarded a 2-0 win. It went down in the history books as a 2-0 triumph, meaning that Bremen scored their 3,000th official Bundesliga goal with their 2,999th. Eintracht Frankfurt may have left it late to win the Hessen derby by beating SV Darmstadt 98, but it will matter little to the home fans who watched their side retain third place in the Bundesliga standings. The victory came largely thanks to an inspired display from Makoto Hasebe. Loosely playing as a sweeper in the centre of the back three, the Japanese has licence to step into midfield regularly and create a numerical advantage for his side, as he did to excellent effect against Darmstadt. A title winner in 2009 at VfL Wolfsburg, the 33-year-old showed all his experience to convert a pressure penalty in the 74th minute for his first goal of the season.